Former Columbia Borough Manager Norm Meiskey addressed council at Monday night's meeting. Meiskey pressed on, nonetheless, explaining the borough’s responsibility when considering such a project. 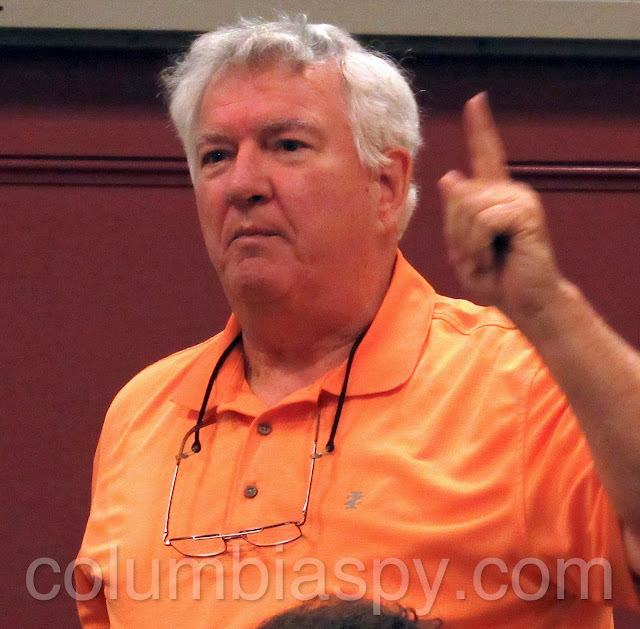 ”This is taxpayers’ money that you have a fiduciary responsibility for,” Meiskey told council. “You have significant due diligence to perform." He explained that such diligence consists of obtaining a technical viability review of the project from a borough consulting structural engineer or architect. "You have to determine the veracity of the engineering designs, construction methods, materials, cost estimates, contingencies,” Meiskey said. He added that the borough also needs to have a financial viability review and needs to know the veracity of all organizations involved, as well as the project investors and funding sources to ensure project completion. "The borough code is structured to address issues like this - and not in the manner in which it is proposed,” he said. "There are mechanisms, and you need to use them as prescribed." Meiskey named organizations the borough can team with for the project: the Columbia Economic Development Corporation, Lancaster County Economic Development Company, or a redevelopment authority. He explained that such organizations can make sure that due diligence items are addressed "but not in the manner in which you propose to simply give it away through some grant or gift or even loan." He cautioned council not to give funds in a manner that is a violation of the borough code. He said case law is very clear: "Municipalities of the Commonwealth of Pennsylvania can only do what the borough code specifically authorizes." According to Meiskey, unless something is specifically authorized by the code, the borough is not permitted to do it. Council had also considered offering tax abatement for ten years for improvements to the building, but Meiskey said that LERTA (Local Economic Recovery Tax Assistance Program) “is the only mechanism you have." He added that any tax assistance program has to be done by ordinance and in a manner prescribed by law - and not in the way identified on the agenda. “You have the responsibility to prescribe tax assistance on a manner prescribed by law,” he told council. Citing priorities the borough should consider, Meiskey said, ”There are infrastructure needs in this borough that are significant.” He said the borough has “alligatored” roads, poor drainage, and empty hotel buildings. He pointed out that the borough now has money it never had before, citing $8.7 million transferred by the borough’s former municipal authority two years ago before the entity was dissolved by council. Meiskey said that the engineering, administrative, and finance experience in the municipal authority could have handled all due diligence items of the hotel project. "Why put the taxpayers in a position where they have to cover lawsuits, improprieties, and violations?" Meiskey also questioned council’s proposed hiring of a new borough manager. "You need to be transparent here,” he said. 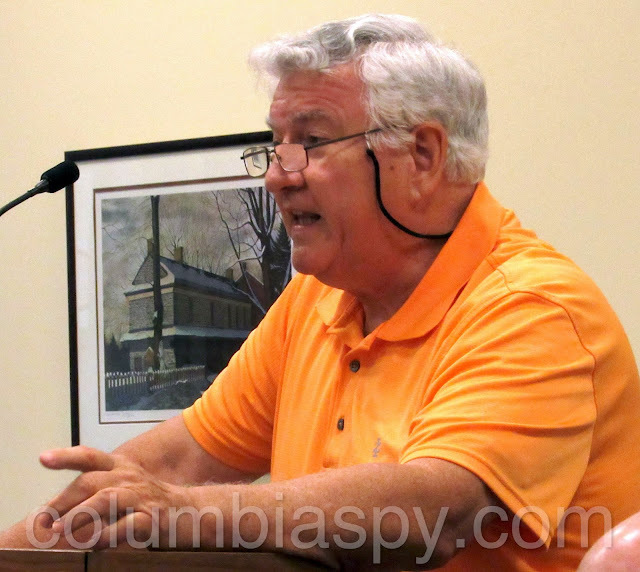 During questioning by Meiskey, borough president Kelly Murphy offered that the proposed borough manager has never managed a municipality, and that the position was not advertised, nor was the assistant borough manager position. Meiskey cited a case in which taxpayers paid tens of thousands of dollars because borough council did not comply with EEOC requirements. "Folks, when are we going to learn, really? Why put the taxpayers in a position where they have to cover lawsuits, improprieties, and violations? Are we an equal opportunity employer or aren't we?" Meiskey asked. He advised council to proceed in a manner consistent with EEOC requirements, because ignoring them has cost the taxpayers in the past. The Trolley: Nice to Have or Must Have? 5 vehicles for 5 part-time code officers? Meiskey also questioned the need for five vehicles for five part-time code officers. ”Who's managing the schedules that requires a vehicle for each part-timer?" he asked. Is the Borough EEOC Compliant? Despite Meiskey’s cautions, council voted unanimously to appoint Rebecca Denlinger as Columbia’s new borough manager. (Previously, council appointed Denlinger as Assistant Borough Manager/Secretary/Treasurer, effective January 1, 2018. She was expected to become manager at the end of this year. The manager position became available a few weeks ago, however, when borough manager Greg Sahd resigned.) After the vote, Meiskey said "I've got to admit I was extremely disappointed that we've got elected officials that appear not to be concerned about [being] EEOC compliant - the fact that we had signed consent decrees to be an equal opportunity employer, and you just pooh-poohed it. That's very disheartening." Meiskey also asked about a proposed one-quarter to half a mill property tax decrease that had previously been promised. Murphy explained that it did not pass approval during budget meetings. Meiskey said the municipal authority worked very hard getting things arranged, and turned over $8.7 million to the borough for capital improvements, and left another $1.8 million in investments that the borough took over, as well as over $400,000 in cash. (Currently, about $6.8 million is left.) He said the negotiated sale of the borough’s conveyance system to LASA helped get the borough in a financial position it's never been in before. "About one third of the property owners were disadvantaged by the deal we struck with LASA, but we looked at every way we could to cover those people at the minimum payment level” but it would have caused considerable difficulty due to skewing the rates and so on. Considering that, the appropriate thing to do was to try to get a property tax decrease, according to Meiskey. A quarter of a mill would have been about $110,000 for that first year, and $165,000 for half a mill. “You can still do it,” Meiskey said. THANK YOU NORM , maybe these people will get that they work for the people. Thanks for taking a stand for citizens. Hope your comments have not fallen on closed ears. This group needs to step down, they are NOT above the law . If council would have done this correctly in the first place, it would never have gotten to this point. They cannot give money to a private entity for profit or gain, the end. The only people responsible for dividing the residents of the borough are the elected officials. No one is blaming Don Murphy for asking, but the elected officials must give him the correct answer. I didn't always agree with Norm, but he always knew what he was talking about. 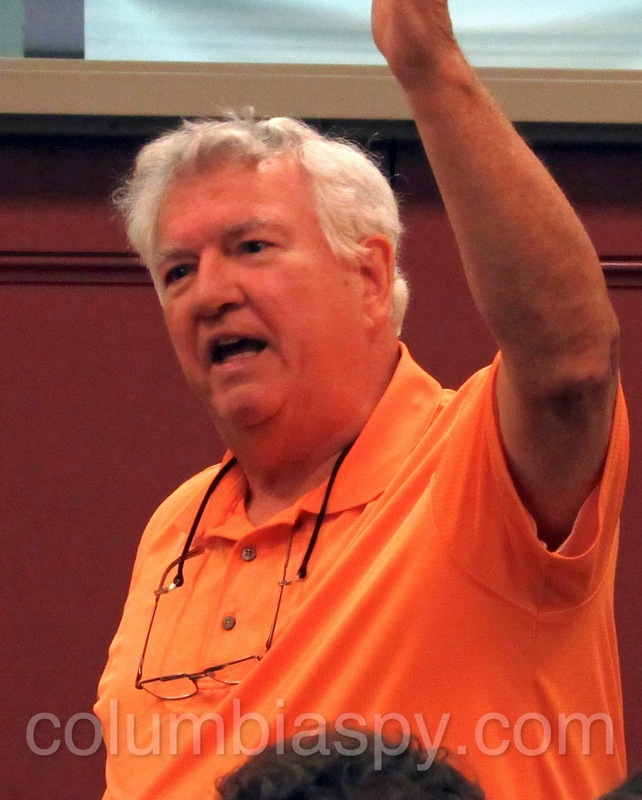 The "Vision" that the supposedly positive folks have in Columbia is blind to the legal side of their projects. I am not paying taxes to help a business owner get a project off the ground. The arrogance of one person sitting on council making decisions to spend our money when he did not pay his taxes in 2017! He supports this private endeavor, but he's not helping to pay! That's appalling. I hope all the venting makes you feel better. Instead of venting ... do something. Venting? I will be doing something, investing my tax money into a private entrepreneur's pocket. In addition, I have contacted state officials to ask how this can happen. Quick to judge you are without an ounce of knowledge about me, I am an active participant in all aspects. Be careful what you wish for! I can't wait to see the follow up from theM, "SORRY COLUMBIA, WE DIDN'T THINK ANYONE WOULD NOTICE..."
Leos way , do as I say Not as I do. Notice , people see you for what youall are! 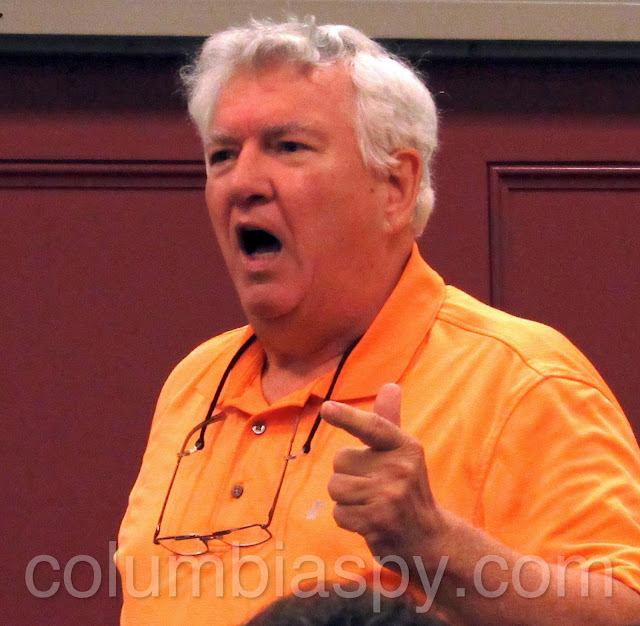 NORM MEISKEY IS THE VOICE OF COLUMBIA ! People wanted Norm gone when he was manager. Now he's God! Can't have your cake and eat it too. This story will make national news, I'm certain. Seriously! Why would anyone care about this! illegal moves by a borough council and mayor , just wait to see what kind of attention this gets , youall will be supprized . 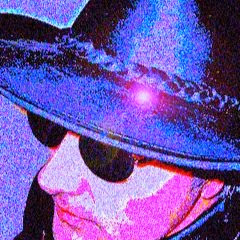 This appears to be the beginning of a resistance movement against the alleged on-going political corruption in Columbia PA. Is this going to blow over like usual and like the powers that be expect that it will ? , - or is Norm willing and able to keep it alive ? Are you going to post Don Murphy's comments made on Facebook. Or will it continue to be one side of the story since it was discussed at the last two finance committee meetings but never reported on here! You need to show up to the meeting and make comments, in order for them to be reported in the article. Otherwise he's entitled to make his own comments here like the rest of us. If there would have been a plan that Council would see a return on investment. Nothing but when do you need the money and we will sign the check. The ultimatum given by Don Murphy's attorney was $650,000 and ten years of tax exception or we do not build. Who paid for the study? Give us taxpayers a future that is solidified and fiscally managed. A hotel only brings commerce, not the infrastructure on tax reduction, town roads and my family's home. Do not blame a citizen for not showing up to a finance meeting is because our trust is in their hands. I guess I was wrong about the trust factor. Thanks, for representing all the hard working taxpayers in Colombia Norm. Don Murphy has done more for economic development in this town for this generation. Because of him the town is being polished. Haters gone hate. You can’t stop progress when you have someone like that engineering the future. Unbelievable that you would discount ALL of the other businesses in this town.....wow! As if their existence has contributed nothing...smfh! Yes it was. Many others have taken chances with their own money and didn't ask taxpayers to foot the bill. thank you Norm. Norm knows and understands how Government works! this Council should educate themselves. fools. you can request any information by submitting a right to know request...they have 5 days to gather the info. please continue to attend meetings, shake council up, ask questions, demand real answers. columbia is on the move, the downtown is really coming alive...we do have Don Murphy to thank along with the owners of Kettle Works, Rocky's, the Antique shoppes, Jonel, Garth and all the art galleries, dog grooming, glass blowing, Andy's, Union Station, Columbia Pizza, Stovers, Shupp's, Boys and Girls Club, etc etc etc. ........ "please continue to attend meetings, shake council up, ask questions, demand real answers " - those efforts are useless if you don't have an agenda to run for or campaign for new blood !! - shaking up the powers that be will not help -they are still above us and always will be - the only hope is to oust them and bring in new blood through a well organized political campaign - any suggestions ?? why does everyone use anonymous instead of their real identity?